One of the truly wonderful things about Dungeons and Dragons has always been the amount of choice given to players. Beyond the basic rules, the game’s world really is up to the Dungeon Master and those who play the game. Some people, though, want a bit more to work with. Instead of inventing things whole cloth, they want a world in which their story can be set. There have been a number of settings released for Dungeons and Dragons since the beginning, giving players many options for how their worlds can work. 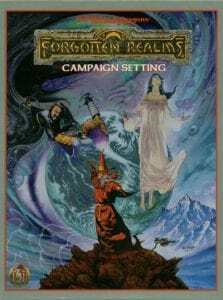 Few have been quite so popular or quite so memorable as that of the Forgotten Realms RPG setting. The Forgotten Realms started as just one of many settings for Dungeons and Dragons, but they have become something much more. While some settings for D&D have been memorable (like Dragonlance), the Forgotten Realms is one of few to really stand the test of time. This setting has become intertwined with the basics of D&D themselves, making the setting the only true default setting to stick around. From the gods and monsters to the basic terminology, it is the Forgotten Realms that has come to define D&D in the mind of both the players and the outside public. The Forgotten Realms did not start as a Dungeons and Dragons setting. Instead, it started in the mind of a man named Ed Greenwood. Greenwood dreamed up the Forgotten Realms as a child, using it as a setting for his imaginary stories. In his mind, the Realms were a parallel world, one that influenced the legends of the Earth. While the idea of the Realms as a world parallel to Earth would eventually be dropped, the deep and storied history of the Forgotten Realms would carry over when Ed Greenwood became enamored with role playing games. The Forgotten Realms started as the setting for Greenwood’s own Dungeons and Dragons campaign. While Greenwood’s setting was a great deal darker than what would eventually be published, it did feature a number of memorable flourishes that would carry into the game proper, such as the city of Waterdeep. Praised for its realism and its depth, Greenwood’s Forgotten Realms (also known as Elminster’s Forgotten Realms, thanks to the popular character) would grow popular. Greenwood published a number of articles in The Dragon magazine, helping to further ingrain the setting in the minds of players. In short order, the Forgotten Realms would be purchased by TSR to become the default setting for AD&D. The Forgotten Realms were not officially a part of AD&D’s first edition. 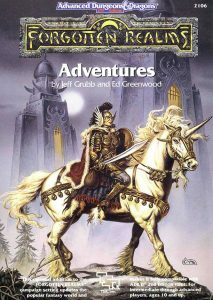 In fact, this was the edition of the game that first really brought Greenwood’s attention to D&D and that was responsible for his adaptation of his fantasy setting. With this said, though, there were modules released in the Forgotten Realms setting in AD&D. Module H1: Bloodstone Pass has been retroactively considered to be part of the Forgotten Realms world, though the world did not officially become that of the Forgotten Realms for another two modules. Even so, the setting was beginning to take shape and players were becoming more familiar with the world. In 1987, the Grey Box was released to provide a better grounding in the Forgotten Realms setting. This box, produced with the help of Greenwood, contained two source books and four maps. This set would be wildly successful, and lead to the production of several other modules that would bear the Forgotten Realms logo. During this time, one of the most popular Forgotten Realms novels – The Crystal Shard – would be released, along with the first of the Forgotten Realms PC games. The road to becoming the most dominant D&D setting was only just beginning for Forgotten Realms, but things were already changing quickly. Second edition would bring with it the first module actually bearing the title of Forgotten Realms, along with a series of modules that adapted a popular series of novels. By this point, Forgotten Realms had grown to be a primary D&D setting, easily competing with settings like Dragonlance and Greyhawk. With the release of Forgotten Realms Adventurers, the setting was officially a part of the second edition of AD&D. Characters, cities, and gods from Forgotten Realms were absolutely vital to the way D&D was perceived, and players of all types began using the information from the setting in their own campaigns. Forgotten Realms was quickly becoming the default for D&D. It’s not hyperbole to say that Forgotten Realms was one of the most successful fantasy universes of the 1990s. It was during this era that the setting was updated for AD&D’s second edition, and during which both the Legacy of the Drow and Elminster Saga were released. This was also the era in which many of the best-known Forgotten Realms games would be released, bringing the setting to those who had never played Dungeons and Dragons before. All of the secondary material for Forgotten Realms helped to bring new players to D&D, and most of them tended to play in campaigns modeled on this world. 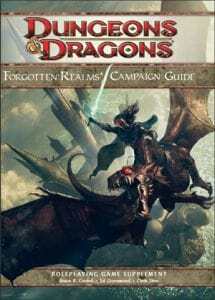 The third edition of Dungeons and Dragons brought with it a new edition of Forgotten Realms, now titled the Forgotten Realms Campaign Setting. For many players, this would be the default setting for their games. A huge number of books were released to complement the new settings, including a new Monster Compendium and a huge number of new modules. In fact, modules would be released under the Forgotten Realms banner from 2001 to 2007, to the bitter end of Third Edition. Even as the game was updated to 3.5, Forgotten Realms was considered an important part of the universe. It should come as no surprise, then, that Forgotten Realms was an important part of the transition into new video games. The third edition would see Neverwinter Nights released, which was explicitly part of the Forgotten Realms setting, as well as three expansion packs. The sequel, Neverwinter Nights 2, was released under the 3.5 rule set and continued in the same world. Indeed, the games were as popular as ever and included in a massive pack of Forgotten Realms games to celebrate the success of the setting in the world of computer gaming. Computer gaming, it seems, was just as good to Forgotten Realms as the role playing world. The release of fourth edition saw another update to the Forgotten Realms, moving along the timeline of the setting and allowing players another look into the world. By this point, settings like Eberron and even Greyhawk had fallen by the wayside – Forgotten Realms was really the only setting that mattered. A new Campaign Guide and Player’s Guide would be released for the fourth edition, with a special focus on making sure players could make characters that fit into this world. There wasn’t quite as much material released during the fourth edition, but it was still the most popular setting by far. By the time the fourth edition was released, the Forgotten Realms had won its battle for supremacy against its competitors almost by default. Dragonlance and Greyhawk had long since faded from popularity, and newcomer Eberron was almost dead on arrival. Forgotten Realms became the only RPGA living game setting in 2008, firmly placing it as the sole D&D setting of note. If players wanted to play in a pre-existing universe, they would have to go to Forgotten Realms. Anything else would require the Dungeon Master to undertake a significant amount of effort due to the recent changes in rules. 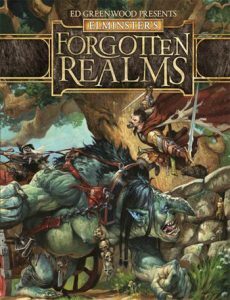 The fifth edition is still relatively new as of 2017, and it seems certain that nothing is going to supplant Forgotten Realms any time soon. There are no more competitors – Wizards of the Coast has announced that Forgotten Realms will continue to be the official campaign world of Dungeons and Dragons. A total of five products were released under the Forgotten Realms banner between 2014 and 2016, with more to come. In fact, Wizards of the Coast has stated that any new adventures released will by default be under the Forgotten Realms banner. Thus far, fifth edition hasn’t brought any new computer RPGs to the setting, though it does seem that any D&D products moving forward will take place in Forgotten Realms. For the moment, Wizards of the Coast seems to be most occupied with making sure players understand the world and how their player-characters fit within it. This means that the lore has been updated and expanded, with a fair number of changes put in place to allow for a meaningful evolution between editions. Forgotten Realms will continue to be the only major setting for Dungeons and Dragons, especially as most of its competitors have long since disassociated themselves iwth the game. The Forgotten Realms setting was more than just a background element for many players of Dungeons and Dragons. It became a rich setting that could be support any number of stories, many of which became incredibly popular novels of their own right. These books helped to make Forgotten Realms the setting that is most popularly connected to D&D, especially among new players of the game. The novels range from the incredibly well-written to the almost perfunctory. There are books here for players of all interest levels. The Forgotten Realms books, it seems, are often far more popular than the setting itself. The Moonshae trilogy has the distinction of being the first set of books published in the Forgotten Realms universe. Written by Douglas Niles, it was a tale of high adventure and a real battle between good and evil. Though later overshadowed, it is very historically significant for the world of the Forgotten Realms. Darkwalker on Moonshae (May 1987): The first book in the Moonshae trilogy. The book features the return of Kazgoroth, an evil Beast bent on the destruction of the Earthmother. During this conflict, the Northmen are preparing to battle against Corwell, never knowing that their king has secretly been replaced by Kazgoroth. Black Wizards (April 1988): The Moonshae Isles are in trouble once again, this time from a group of Dark Sorcerers. Incredibly important because the group is led by Bhaal, the god of death and murder, who will become a major figure in later chronology. Continues the story from Darkwalker, though mostly through the use of similar characters instead of plot. Darkwell (February 1989): The final book in the trilogy. Tristan is now king of the Ffolk, while Robyn is concerned with fighting the evil that threatens to destroy the Moonshae Isles. The major plot in this book concerns the relationship between the two main characters, particularly with the decision of whether they will be wed or will go to the grave as bitter enemies. The story is picked up upon in the Druidhome Trilogy. According to some, this is the most influential series in the Forgotten Realms universe. Responsible for introducing characters like Drizzt Do’Urden, Wulfgar the Barbarian, and Regis the Halfling, these books helped to solidify the history of the Forgotten Realms and set the tone for many of the novels that would follow. The Crystal Shard (1988): The second official published work in the Forgotten Realms. Introduces the world to Wulfgar, Drrizt, Bruenor, Regis, and Cattie-brie. Akar Kessel, under the influence of the eponymous Crystal Shard, attempts to invade Icewind Dale. A prototypical tale of bringing together the party and setting them off on a much larger adventure. Streams of Silver (1989): Following from the end of The Crystal Shard, Drizzt leads the search from Bruenor’s boyhood home in the Mithril Halls. Introduces the world to Artemis Entreri, who will become a major character in his own right. Also deals with Drizzt’s alienation from the world around him, which will become a running theme in almost every book that features the drow from this point forward. The Halfling’s Gem (1990): The final book in the trilogy, but by no means the last book the feature these characters. Regis has been kidnapped by Artemi Entreri, and his death seems all but certain. Wulfgar and Drizzt go south to rescue their friend. 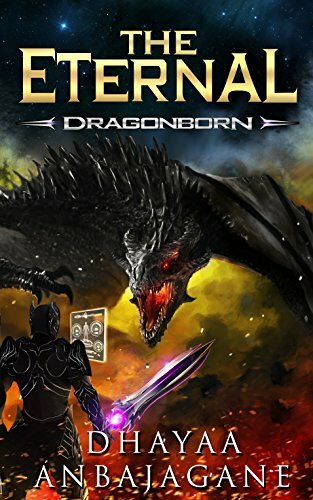 Ends with a major battle that has lasting ramifications for the northern reaches of the Forgotten Realms. The tales of Alias, Dragonbait, Olive, and Finder. The trilogy takes place as the group travels across the Dalelands. The game would later become its own D&D adventure module, and would arguably find more success there than as a series of novels. Better known for introducing its characters than its actual plot. Azure Bonds (1988): Alias finds a mysterious tattoo and joins up with an unlikely band to figure out what it means. As one might expect, trouble is afoot and only this group can deal with it. Has less of a traditional party than the Icewind Dale trilogy, which helps keep the book from blending together with those that came before it. The Wyvern’s Spur (1990): A powerful heirloom is lost and the family is falling to its curse. When only a fool is left to find it, Olive and Cat are the only ones who can help. A good look at the danger of deadly artifacts in the Forgotten Realms. Song of the Saurials (1991): One of the first major books to really focus on the Harpers. Features the Nameless Bard, and the characters from the previous books. The fate of the Forgotten Realms is on the line, and only the party can prove that Moander the Darkbringer is responsible for the chaos. Story threads will be picked up from here for years to come. A trilogy written by Ed Greenwood himself. Not originally intended to be a trilogy, as the second book was originally considered to be part of an entirely separate series. Notable because of the lengthy breaks between published books – the trilogy took fourteen years to complete. Spellfire (August 1988): Shandril is young, an orphan, and she works in a kitchen. She is also in possession of the most powerful and sought-out power in Faerun. She goes on the run, only to be helped by a wizard, a few knights, and Elminster himself. A foundational novel for the Forgotten Realms, as one would expect from the author. Crown of Fire (April 1994): Originally conceived of as part of the Harpers trilogy. Shandril is one of the most powerful magic users in Faerun, and now many people want her dead. While she’s in good hands, the truth is that her magic is just as dangerous to her friends as it is to her enemies. Hand of Fire (September 2002): Shandril is still on the run after the events of the last two books. Now, she has a goal – to get to the city of Silverymoon. It’s as close as she’ll find to a safe haven, if she can get there before everyone who wants to kill her can find her. Taking place before the Icewind Dale trilogy, these books delve into the background of Drizzt and his life before coming to the surface. 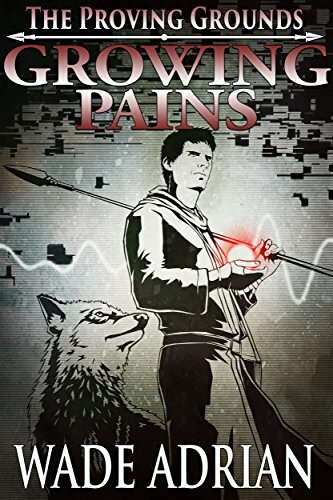 A tightly-paced series of novels, they follow a single story from the beginning to the end. They have retroactively been considered the beginning of the Legend of Drizzt novels, with the Icewind Dale novels following after. Homeland (1990): The earliest years of Drizzt Do’Urden. We meet his scheming family, his noble father, and we learn that life among the Drow is much worse than anyone thought. A keen insight into the mind of one of the most beloved and controversial characters in all of the Forgotten Realms. Exile (1990): Drizzt has left Menzoberranzan for the Underdark. Here Drizzt becomes both more and less than he once was. He makes his first friends, faces his first real test from the world above, and eventually makes the decision to leave for the surface. A good view on what drove Drizzt before the Icewind Dale trilogy. Sojourn (1991): Drizzt leaves the Underdark and has his first encounters in the sun. He begins his training to become a Ranger, fights Orcs, and eventually comes to Icewind Dale. This shows Drizzt’s first encounters with Bruenor and Cattie-brie, and fills in the story of what he was up to directly before Icewind Dale. A novel trilogy with three authors. Another set that features the guiding hand of Ed Greenwood, this ties back into the history of the Forgotten Realms has a whole. Chronicles the fate of the nation of Cormyr and the fall of its king, Azoun IV. An epic historical novel series in its own right. 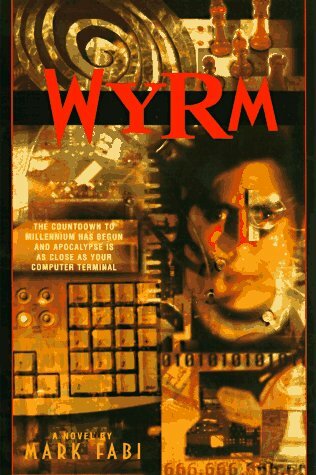 Cormyr: A Novel (1996): Written by Greenwood and Grubb, it’s a historical novel of the Forgotten Realms. Cormyr is the most important nation in the Forgotten Realms, but its history is barely known. The novel tells the story of not just the nation, but the people who were the most influential within it. Beyond the High Road (1999): Written by Troy Denning, this novel details the fall of Azoun IV. Building up from what came before, this novel sees Cormyr at one of its lowest points. The guardians of the kingdom are gone, and the prophesized doom is on its way. Death of the Dragon (2000): Ed Greenwood and Troy Denning collaborate to finish off the trilogy. Everything that can go wrong, has gone wrong. The story is not about whether things will fall apart, but rather what will remain when it is all over. A fitting end to the historical saga and a good end for Cormyr. Yes, we’ve left out quite a few Forgotten Realms novels, but we wanted to leave a quest for you to go find the others on your own. Small smile. Dungeons and Dragons and video games have gone together since almost the beginning. It should come as no surprise, then that, that the most popular setting for the games has also been the one in which most of the video games have been set. 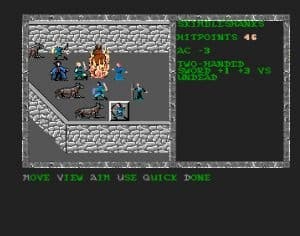 The Forgotten Realms was home not only to the earliest of the successful computer games, but also a host of other popular computer RPGs. 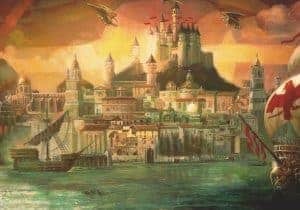 In many ways, the Forgotten Realms games helped not only to define what a Dungeons and Dragons video game would be about, but also how the public would view Western computer role playing games. If you were a fan of Dungeons and Dragons in the late 1980s, you had already put up with some suspiciously minimalist adaptations of your favorite game. The coming of the Gold Box games, though, were different. Distilling D&D down to its essence, these games were as close to playing a real game of D&D with a computer as one could get. Featuring highly advanced game play for the time, these games helped to establish the PC as the home of role playing games for years to come. There were a number of games in the Gold Box series, many of which can still be played on modern computers. One of the most memorable games in the Forgotten Realms universe, if only for the box art, is Eye of the Beholder. In this D&D video game, the Lords of Waterdeep hire a team of adventurers to combat the foes beneath the city, and the party is trapped beneath the ground by the actions of the eponymous Beholder. The group must fight dwarves, drow, and eventually the Beholder himself. Eye of the Beholder, like most games of the era, featured first-person dungeon exploration and point and click combat. The series was very well known for allowing players to recruit new party member and allowing them to increase their party size by taking the right actions. A definite hit of a game, it was a great chance to play around with some of the tropes of the Forgotten Realms. Famous for being the first massively multiplayer game to display graphics, the game was actually co-developed with America Online. The game was actually developed to be similar to most of the Gold Box games, with additional online functionality. The game became a free part of America Online’s service, and was eventually canceled due to changes by the provider. Best known for providing inspiration to the next iteration in the series. Not so much a game as a development kit. Came from the split between SSI and TSR, the game gave players the tools to make their own adventures. Around 700 different games were made with the tools, most of which were made with fairly extensive hacks. Probably one of the major reasons that some later D&D games came with such heavy mod tools. Fairly similar to Eye of the Beholder, the game moved the setting to the drow city. Best known for being fast-paced and for having fantastic graphics (for the time), it was nonetheless considered somewhat underwhelming by the press of the time. It did represent a massive leap forward for Dungeons and Dragons games, though, which would continually get more graphically impressive. The game also featured Drizzt, which would become something of a running gag in other series. Not a game, but rather a collection of past Forgotten Realms hits. It included Pool of Radiance, Curse of the Azure Bonds, Pools of Darkness, Hillsfar, Eye of the Beholder 1-3, Secret of the Silver Blades, Dungeon Hack, Treasures of the Savage Frontier, Menzoberranzan, and Gateway to the Savage Frontier. The 1997 version included a demo for Blood and Magic, while the 1998 version included a demo for Baldur’s Gate. 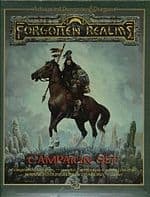 Republished again in 2001 as Gamefest: Forgotten Realms Classics. A real time strategy game taking place in the Forgotten Realms. In the game, players are wizards who use blood magic to create new units. The game deviated fairly strongly from the Dune model, requiring players to micromanage their forces to an almost insane degree. The game came out relatively late in the cycle of this kind of RTS, and was generally considered to be very slow compared to the games that would come out later. An Interplay role playing game, it cast the player in the role of an adventurer who is attempting to get to the riches of the Undermountain. The game is best known for using the Descent engine, which also lent its name to the game. This was the first role playing game to use a true 3D engine, though 3D had been used with a few technical tricks by Ultima Underworld and The Elder Scrolls earlier. Used the rules of AD&D, and definitely divided the community. Considered a fantastic role playing game and something of a mess by others. Baldur’s Gate utterly changed the CRPG role playing landscape with its deep lot, great party mechanics, and amazing attention to detail. Taking place in and around the Forgotten Realms city of Baldur’s Gate, the game put players in control of an orphan with a mysterious destiny. The game made great use of actual Dungeons and Dragons rules to create a game that really captured the spirit of the original game. Popular enough to support an expansion pack, Baldur’s Gate would also go on to have a very well-received sequel. Both of these games have been remade for modern computers thanks to high demand. Icewind Dale, built on the same engine, took the legacy of Baldur’s Gate and went even further with its connections to the Forgotten Realms. Icewind Dale allowed players to interact with the world of the popular novels. While not directly connected to the story, the game was a fantastic bit of fan service for those who had read the books. This game was a bit more combat focused than Baldur’s Gate, but it was still well-received by fans of the Forgotten Realms. Like Baldur’s Gate, the game and its sequel have both received modern remakes in order to reach new audiences. An interesting game that only vaguely resembled Dungeons and Dragons in execution. it’s probably better known for being written by R.A. Salvatore and having voice work provided by Patrick Stewart. The game was mostly a skill-based hack and slash, which would mirror the development of many later D&D games. Definitely a surprise, but a welcome one to most reviewers. Very well reviwed, especially on consoles. A fantastic departure for a series that really had been more about strategy than twitch speed thus far. Described as a third-person real time tactics game, it involved a great deal of exploration, questing, and combat. The game could be played by multiple players in split screen and allowed for character progression through the 4th Edition rules. Shared some similarities with games like Dungeons and Dragons Heroes and Baldur’s Gate: Dark Alliance. Felt incredibly unfinished to most players and didn’t review very well. Expansions to the game were planned, but were never actually finished. An action role-playing game, Sword Coast Legends took players back to the days of the Baldur’s Gate and Neverwinter Nights, but not necessarily in a good way. Players of the game hacked and slashed, but the real selling point was that some limited Dungeon Master tools were included with the game. Reviewers praised the attempt, but generally thought that the game was poorly thought out and unfinished. As with all great works of fiction, there is a great deal of continuity to the internal events of the Forgotten Realms. The timeline has grown with both the release of new versions of Dungeons and Dragons as well as the events of the novel. The ages and events listed below are always in flux thanks to the changing nature of the game, but the broad strokes have remained mostly the same for the past several years. Dungeon Masters who are well-versed in the Forgotten Realms timelines can set their games in different eras in order to better capture the feel of the games they want to run. The empires of the creator races were gone, and dragons and giants roamed the world. Wars raged across Faerun, and great kingdoms start to spring up. This is very much a time of dragons, and dragons are largely responsible for teaching the mortal races about civilization. The first elven kingdom is founded. Lolth comes to Toril. The foundations for Toril as players would come to know it are laid in this era. The Time of Dragons ends, and the elves settle into their five kingdoms. Faerun is sundered from one continent into several. Tribal humans start roaming the world. Winged elves leave Faerun for what’s possibly the last time. The Time of the Elves will begin during the end of this era. The civilizations that most players come to know and love will have their earliest roots in this era. Not a popular time period for game play, but a popular time period for the creation of certain artifacts. A series of wars between the elven kingdoms fought over the course of five thousand years. There were five major conflicts during this era. The first war was between the kingdom of the sun elves and the kingdom of wood and dark elves. The next was between the dark elves and moon elves, which led to the creation of the word that would eventually become Drow and their servitude to Lolth. Aryvandaar will next attack a sun and moon elf kingdom, followed by the war that drove the dark elves underground. The fifth war would end with the destruction of Arvyvandaar. An era in which the elves and dwarves largely dominated the landscape. 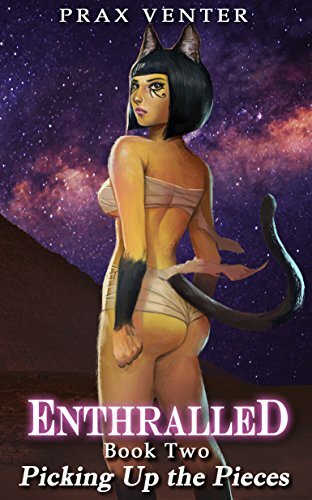 Elves, dwarves, and early human tribes would begin to found kingdoms like Evereska and Imaskar. The Spider Wars happen during this era, as does the Era of Skyfire. Not quite an era lost to time, but definitely one that was far enough back in history that even the oldest characters tend not to remember much about it. The elves and dwarves decline while the humans become ascendant. The human clans on the Sword Coast found Illusk. The spell Magic Missile will be created in this era, along with many of the other spells that players have come to know and love. Most of the kingdoms founded in this era will fall, but a few will remain. A number of conflicts that leave behind powerful artifacts take place during the Age of Humanity. The time between the Time of Troubles and Spellplague. Gods will walk the earth, giving birth to or fathering many children. Menzobarrenzan will go to war with the surface, only to be beaten back. There will be many wars and the bulk of the stories of the Forgotten Realms will take place during this era. This era is currently one without end, as new versions of Dungeons and Dragons continue to move the timeline forward with each release. As you might be able to tell, the Forgotten Realms is both a popular and complex setting. With memorable characters, a great deal of background information and some stellar ideas, it has become a default setting for Dungeons and Dragons. Whether you want to read about it, play in it, or just appreciate the work that went into creating it, the Forgotten Realms has something for you. It has come a long way since it was just a simple optional setting, especially for those who have come to think of it as the default Dungeons and Dragons universe. The Forgotten Realms may be many things in the future, but they definitely will not be forgotten. Want to continue your adventure? Head over to the LitRPG Forum and join our tribe!